Emancipation Support Committee (ESC) president Khafra Kambon. African and Haitian migrants are said to be disadvantaged in their efforts to stay in TT when compared with thousands of Venezuelans currently fleeing their country and seeking amnesty here. 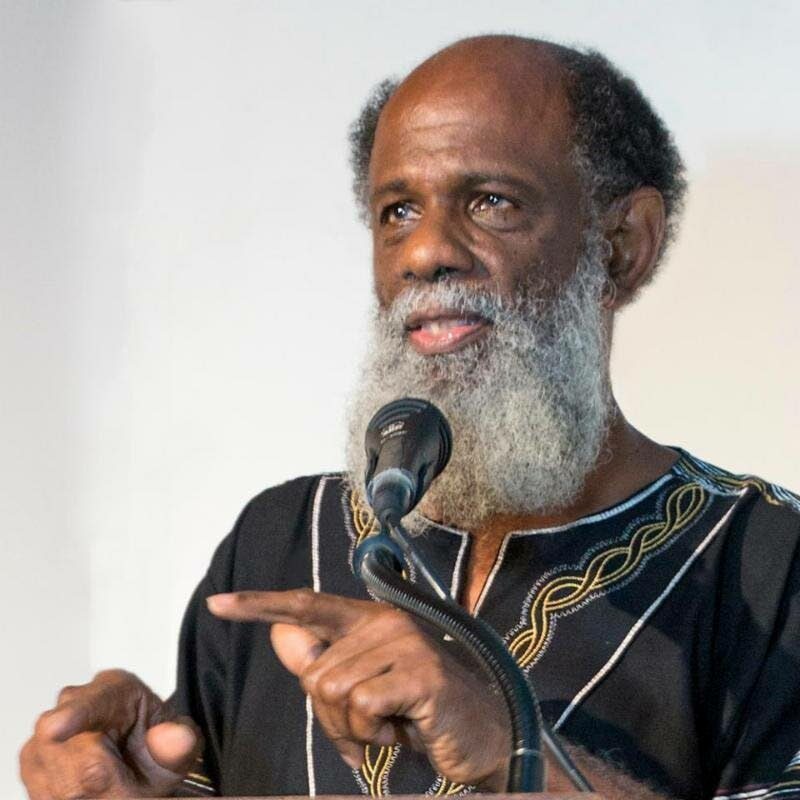 This is the view of activist Khafra Kambon, head of the Emancipation Support Committee (ESC), who says, in contrast to the amnesty being given to thousands of Venezuelans migrants, the handful of migrants from Africa ands Haiti reaching TT's shores are treated as less than human. Kambon recalled several heart-rending cases of harsh treatment meted out to migrants from Africa and Haiti whose nationals he hoped would soon also benefit from TT’s recent spirit of humanitarianism towards Venezuelans migrants. Speaking to Newsday after the ESC issued a statement on Tuesday, Kambon said Africans and Haitians have suffered treatment in TT that he would not have believed had he not seen it personally. Kambon recalled that in 2009 the ESC had organised a petition that was signed by the TT wives of African migrant males seeking clemency from the Immigration Division. “It was ignored and they were sent back. It was just a handful of men but it had seemed like plenty because they were there so long. Likewise he lamented that Haitians were similarly scorned as “the embodiment of voodoo” in the minds of too many people. Kambon recalled the case of a disabled man from Sierra Leone whose parents were killed in that country’s civil war. He was discovered on the street by a man from Laventille who helped him get a job in St Joseph, only for a police officer to one day hear his foreign accent and have him locked up. Kambon said in all the man’s time in prison, no-one had ever advised him that he could apply for refugee status. However, he joined the prison band and, one day, had a chance encounter with a visitor to the Maximum Security Prison who heard his story and put him in touch with the Living Waters Community. “They did an investigation and found his story to be true. The UN said he was a refugee. However, after about two years locked up, when he did not find his situation being alleviated he got frustrated and it was at this time he tried to kill himself by drinking bleach." Yet Kambon said the story had ended well, as the man went to study music in Jamaica, and then founded a band, Wounded Lion. Kambon then related the case of a disabled Haitian woman who came to TT to study after a major earthquake that had killed her parents. She was allowed to stay under a minister’s permit, but when she sought an extension she was refused even an application form by the immigration officer on duty. “What could they have had against a woman who can’t even walk? She was here for an education and was even paying for it.” Kambon said in her first year here almost every week she was summoned by the Immigration Division, which really upset her studies. “That was not just bureaucracy but cruelty, as if they were saying, ‘We don’t want you here.’ I had to get an intervention to get her to stay.” The woman is now married in TT, although her case remains pending, he said. Reply to "Kambon: Africans treated less than human"